The Bobble Toboggan is super cute and extremely warm! It is classy and stylish, and hand crocheted with lots of love! Each beanie has a leather logo tag sewn to the brim. 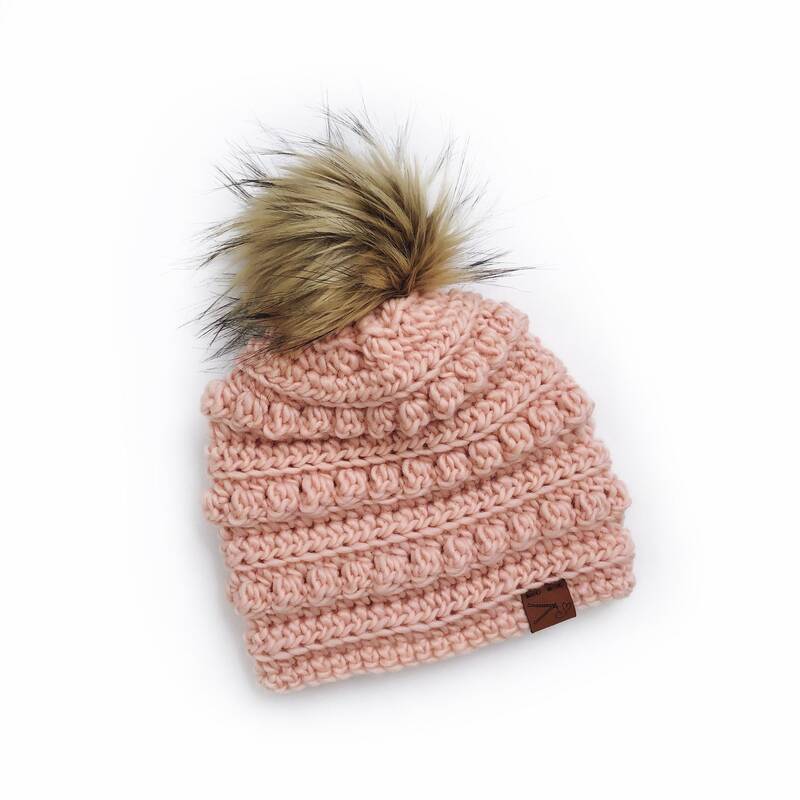 This beanie has a gorgeous, dirty blonde faux fur pom on top. This beanie fits the average size women's head. All sales are final. No customizations, returns, or cancelations.